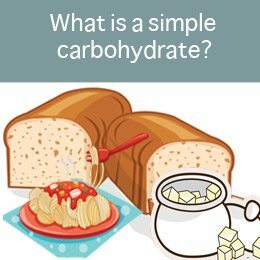 You've probably heard of simple and complex carbohydrates before, it's something most of us are familiar with. You might have heard of complex carbs, that sugar is a carb, and glucose…is that the same as sugar, and what is a simple carbohydrate exactly? Yep, the carbohydrate category of foods is the most difficult one to get your head around. But as a diabetic it is necessary to understand the different types of carbohydrates so you can keep your blood sugar and A1C in a healthy range. All types of carbohydrates provide energy to the body in the form of glucose. Glucose is also known as sugar and carbs as well. That’s why you’ll often hear people talk about sugar even when they might be talking about things like rice or bread. Or they might refer to them as carbs. Glucose/ sugar / carbs, these are essentially all the same thing, so if you hear any of them mentioned just remember that. However, there are different sources of carbs and what makes them different is that they are all made up of different chains of sugars. Monosaccharides – which include glucose, fructose and galactose – these are just a single chain chemical structure. Disaccharides – include sucrose, lactose and maltose – disaccharides have a double sugar chain chemical structure. For example, sugar is a disaccharide (sucrose) – it's made up of 50% glucose/ 50% fructose. So why is this important to understand? 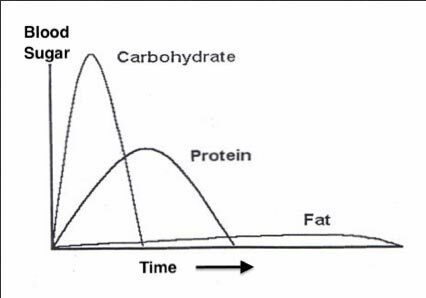 As Diabetes UK simply puts it: “The difference between a simple and complex carb is in how quickly it is digested and absorbed”. You see, it's often the chemical structure that makes all the difference to how fast a carbohydrate is absorbed into the bloodstream. As a diabetic you may already be aware that when you eat carbohydrates your blood sugar rises, and if you didn't know that you do now. Other things also influence blood sugar (like protein), but carbohydrates have the single biggest influence on blood sugar levels. And both the quantity of carbs and the type of carbs you eat are very important. Our body is designed to keep our blood sugar within a tight range that’s best for our health. If you're unsure of the normal blood sugar ranges, read this. When our blood sugar rises, this stimulates the pancreas to release insulin, and insulin helps the body to deal with the carbs and bring the blood sugar down. That's the simple process of blood sugar regulation. Here's a simple graphic so you can take a look at this concept of controlling blood sugar levels. The important thing to remember is that your blood sugar rises in varying response depending on the type and the amount of carbohydrate you eat. I'm going to apologize for repeating some of this stuff again and again but it's the most important stuff to get concreted in your brain, that's why it needs to be repeated. I think we all need to hear things over and over again before they become concrete – at least that's how my brain works. So we've got simple carbohydrates or simple sugars, remember they are the same thing. Simple carbohydrates are short chains of glucose and these types of sugars uptake into your bloodstream very quickly without the need for much digestive processing. So when you eat simple carbs, they quickly absorb across the small intestine and into your bloodstream. You’ve probably felt the effects of eating some chocolate or having a soda. Simple sugar is often what we reach for to get fast energy, and that’s why it does give us fast energy, because it uptakes quickly into the bloodstream, providing that immediate energy. Although that might sound like a good thing, these are the type of carbohydrates you want to steer clear of because they are going to make it difficult for you to regulate blood sugar and A1C levels. Remember our body likes to keep our blood sugar in a tight range that’s best for our health – not be spiking up and down like a roller coaster ride. Overall what you need to know about simple carbs is that they are the type of carbohydrate you want to avoid. 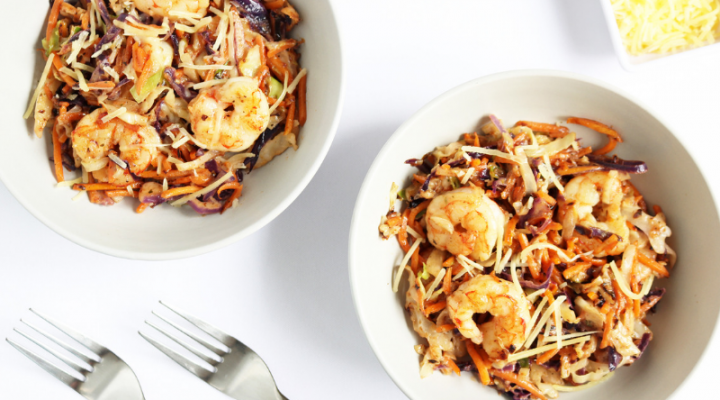 If you can avoid simple carbs all together – that's great, and this is the ultimate aim. But if you do eat them, only eat in small portions and only occasionally. Let's get down to the more practical stuff shall we. 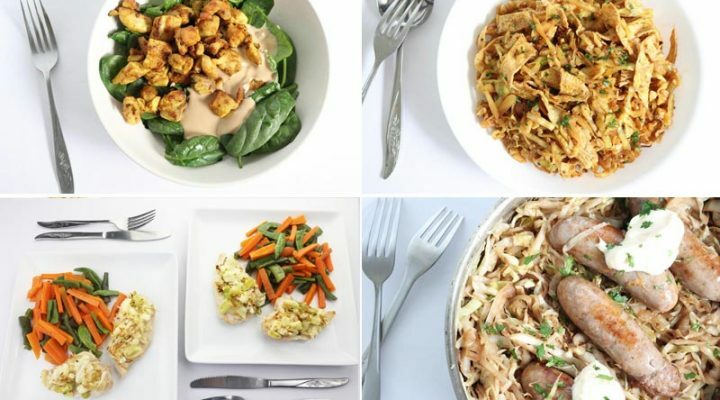 Take a look at this list to see some examples of simple carb food sources. Sugar – all types including raw sugar, white sugar, brown sugar, castor sugar. 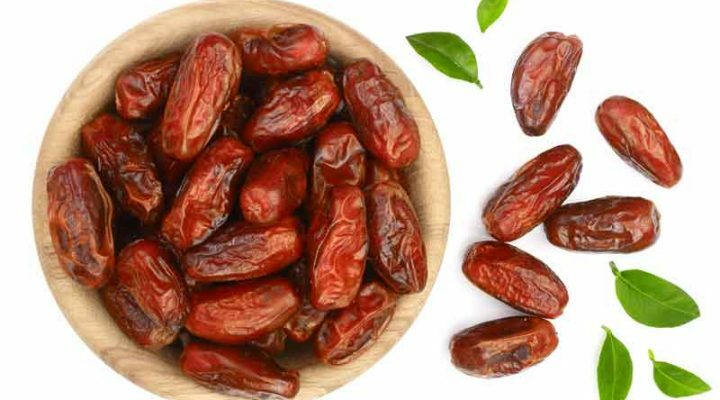 Fruit – yes that's right, fruit is a disaccharide and is a simple sugar that will impact blood sugar levels – there are a few fruits you can have – we'll get to those later. Fruit juices – even homemade ones, it's a common misconception that these are healthy but they are full of sugar. Many sauces and condiments – even things you wouldn't consider to have sugar often do have lots of sugar contained in them, for example salad dressings, jarred savory sauces like a satay sauce, ketchup and so forth. As you'll see from this list, we can find simple carb sources around us everywhere, which is part of our rapid health decline. Our bodies simply aren't designed to consume these types of foods in the quantities we do – particularly because most of them are majorly processed and contain added sugars, refined carbs, additives, and preservatives. It might sound like the end of the world to hear so many foods you may enjoy on this list. But there are ALWAYS options and alternatives, one's much healthier for us to eat and we'll be covering loads of options in the days to come. I promise you'll still have plenty of tasty things to eat! Recap: The short of it is that a simple carbohydrate is a short chain of sugar that doesn’t require digestive processing. This means it uptakes into the bloodstream quickly and can cause higher spikes in blood sugar compared to other carbs, complex carbs for example. For best health and blood sugar regulation, simple carbs are best avoided. Complex carbohydrates are longer chains of sugars (aka glucose) known as polysaccharides – glycogen, starches, and fiber. You've probably heard that eating complex carbohydrates is better for your health. 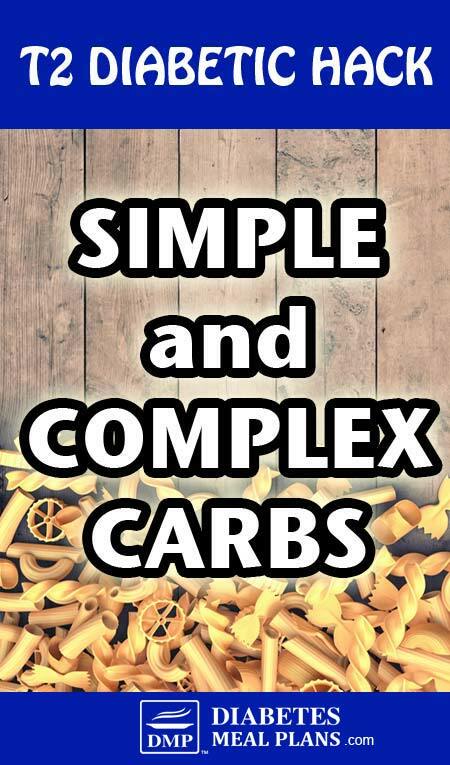 That is true, complex carbs are generally a better choice than simple carbs – but there is a bit more too it than that. For optimal blood sugar control many complex carbohydrate sources still need to be avoided because although the type of carb is important, the amount of carbs you eat is even more important. Many of the complex carbs contain way too many carbs overall, which won't help you control blood sugar and A1C. 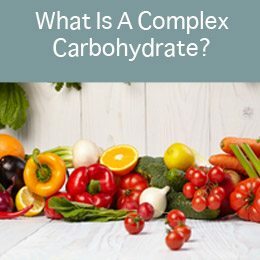 So let's go over the different types of complex carbs, and then we'll cover the practical stuff. You won't hear about glycogen much in the way of the food we eat because there is only a small amount contained in meats. But you may hear of glycogen in the body because when we eat carbs we store some of the glucose as glycogen in the muscles and liver. This gives our body the ability to break it down for use when we need energy. Still, it doesn't really relate to the food you actually eat. Plants store glucose as starch – giant chains of sugars. Carbohydrates in the form of starches include potatoes, wheat, rice, other grains like millet, rye, barley, and oats, sweet potatoes, beans and lentils. Fiber is what forms the structure of plants, so different amounts of fiber are found in all sources of plant foods. There are 2 types of dietary fiber, soluble and insoluble. Soluble means the fiber can dissolve in your stomach water and enzymes and this makes them like a gel that slows down digestion of foods, and slows down the uptake of glucose into the bloodstream. Insoluble fiber doesn't dissolve but helps to form a lattice like structure in the digestive tract that cleans out our digestive tract and prevents constipation. Both forms of fiber are very good for us and help manage diabetes, they fill us up, and provide many health benefits. We need to eat LOTS of fiber but most people simply don't get enough. The main reason for this is that processed and packaged foods don't contain a lot of fiber. Where do we get these fibers? We need to eat LOTS of vegetables, and vegetables are also a source of carbohydrates. Most people don’t realize that vegetables are a source of carbohydrate. Yes we do, and we can get all the carbs we need predominantly from vegetables. If you focus all of your attention on eating vegetables as your main source of carb, you will lower blood sugar and A1C, and be able to manage them long term. 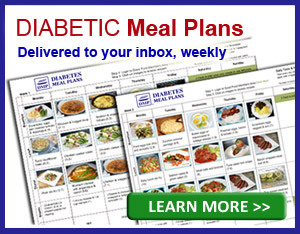 This advice is equally as important for prediabetes and for general health as well. As a diabetic it is recommended to avoid most starches (potatoes, rice, bread, pasta) as they are very high in carbohydrates. However there are some starches that are resistant starches and we need these for feeding beneficial gut bacteria. You see, resistant starches escape digestion in the small intestine and provide fuel to the bacteria in our large intestine. These bacteria generate small chain fatty acids such as butyrate that improve our health and boost immune function, among other things. Resistant starches also improve insulin sensitivity, help lower post meal blood sugar, and beans and legumes (a resistant starch) have a ‘second meal' effect, meaning they help keep blood glucose lower after your next meal too. When eating these, we only want to eat them in small amounts because they do contain high amounts of carbohydrates. Recap: Complex carbohydrates are long chains of sugars that require longer digestion. This means that ‘generally' they uptake into the bloodstream slower than simple carbs. For best health and blood sugar regulation, choosing complex carbs is the better choice. But, it's also important to remember that many complex carbs are still high in overall carbohydrates, so some are still best avoided or only eaten in small portions. We'll get to more examples below but let's first compare the difference between simple and complex carbs. This is the general list for both simple and complex carbs, so you can see the difference. Now all that scientific stuff is out of the way, let's get down to the practical stuff. Where do all these forms of carbs fall and which ones should you eat. BS up to 130 today but couldn’t sleep last night so I’m wondering if that was cause as I have been careful with food choices. Thanks for good article on carbs.. Yes, certainly lack of sleep can cause a rise in blood sugar.